Level Up partners with Red Bull to feature Vanguard as a Street Fighter V regional qualifier event for the Red Bull Proving Grounds series! 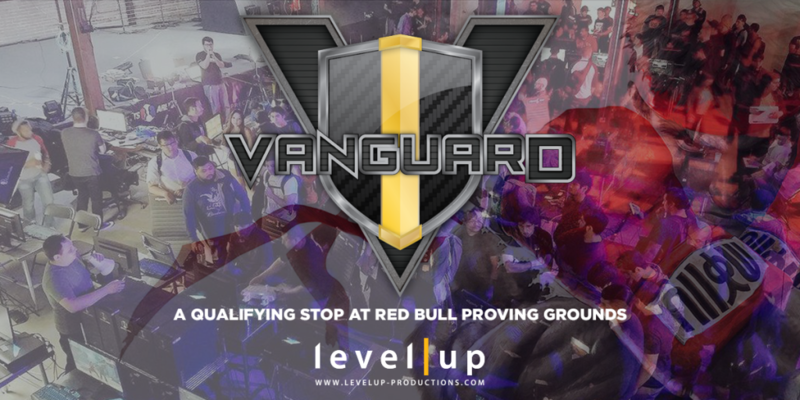 Our Vanguard monthly tournament series is one of six regional events for players to qualify for the Red Bull Proving Grounds playoffs, taking place in Santa Monica, CA on November 4-6. The winner of the playoffs will earn a spot at Red Bull Battle Grounds in Seattle, WA, the final North American stop of Capcom Pro Tour. The winner at Red Bull Battle Grounds earns a seat in the Capcom Cup Finals! The first Vanguard event will take place at eSports Arena in Santa Ana, California on June 12, 2016 and streamed on our http://twitch.tv/leveluplive channel.